SUMMARY: Robert Zarro has spent the last three years of his life locked up in a Massachusetts prison, convicted of selling drugs on his college campus. When he is offered the job of warehouse manager in Sunnyside, Queens he leaps at the chance for an opportunity to reinvent himself. His past, however, has a chokehold on him, and he must learn how to free himself from the prison of his own design. Maggie Ocampo, one of Zarro’s undocumented workers, is anxious to leave her heartache back in her native Nicaragua, enticed by the promise of a fresh beginning in a new country. But Maggie’s new life comes at a price. She owes money to a sadistic gang who hesitate at nothing to use any means necessary to collect it. Haunted by their troubled pasts, Robert and Maggie guard their secrets closely. Until they don’t… Released From the Shadows is a tale of love, humor, and redemption, set in a gritty urban landscape. THE BACK STORY: I wrote “Released From the Shadows” because I am very familiar with this setting, having worked for many years in a Queens, N.Y. warehouse that sold military insignia to U.S. military bases. I feel that there aren’t enough novels written about blue collar workers who struggle to make ends meet. In fact, a literary agent who passed on the novel told me that no one works in warehouses anymore! I also thought it was important to humanize the life of an undocumented immigrant. I like the idea of two people starting over in a strange place. WHY THIS TITLE? : I originally wanted to call the book “Released,” as Robert, the main character, was just released from prison. 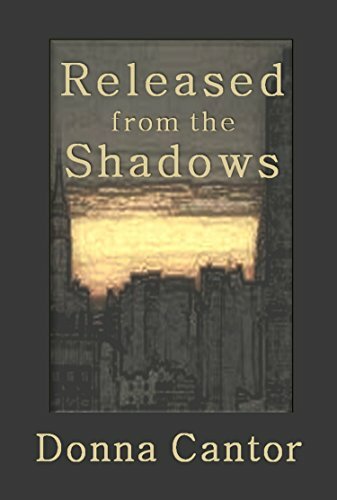 My editor suggested the title “Released From the Shadows” because Maggie, an undocumented worker, hides in the shadows. Readers will want to see what happens to Robert and Maggie, because they are two very real human beings who have to struggle to survive in New York. Robert is haunted by prison demons and Maggie is always looking over her shoulder, afraid of the gang she owes money to, and afraid of being sent back to Nicaragua.